North Korean government issued an etiquette guide for using mobile phones. A North Korea man on his cell phone in Pyongyang. You know when you’re on a crowded public bus and a guy is talking really loudly on his cellphone about how just because he once cared deeply for his ex-wife that doesn’t mean he should be obligated to give her a kidney, and then once he gets off the phone all the commuters standing around him have an impromptu life talk about what he should do? OK, maybe that has only ever happened to me (and the other people on that New York City bus in 2006—shoutout!) but the point is that cellphone etiquette is important. And, surprising no one, the North Korean government takes it very seriously. There are almost 2.5 million North Koreans—about 10 percent of the population—using Koryolink, the wireless carrier for the country that launched in 2008. That number may not go up unless prices go down: Last year BBC News reported that cell phones are prohibitively expensive for most North Koreans, given that Koryolink offers handsets for a few hundred dollars and estimated average North Korean salaries are less than $1,000 per year. Nevertheless, the government clearly feels that cellphones are a growing trend, because a cultural magazine obtained by South Korean news agency Yonhap includes information about making and answering calls in public along with a general etiquette lesson. Don’t forget that all official media in North Korea is controlled by the regime. The article seems to really emphasize appropriate and polite greetings: “On mobile phones, unlike on land lines, conversations usually take place with knowledge of the other person. However, even in such cases, one must not neglect to introduce oneself or offer greetings.” Caller ID is no excuse for rudeness! And if someone calls you and doesn’t open the conversation by explicitly stating who they are, the article says you should prompt them by asking, “Hello? Is it you, comrade Yeong-cheol?” I mean, this is just common sense, people. 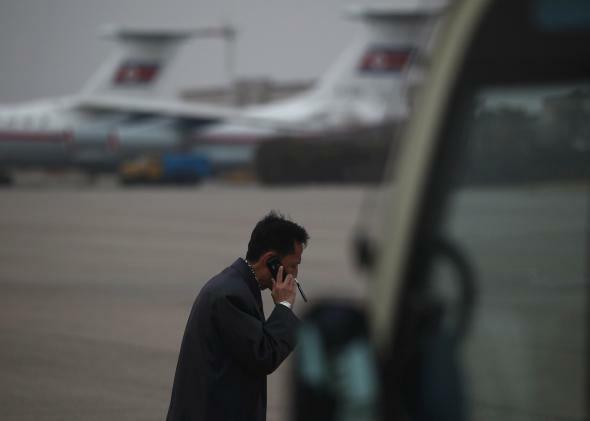 It seems unlikely that North Koreans are loudly divulging personal information while riding on public buses or walking around, given the constant threat of being sent to work camps or even being killed for inappropriate behavior. But maybe the etiquette guide is a way for the government to remind citizens, whether they can afford mobile phones or not, that North Korea is incredibly technologically advanced.